Property 3: Cosy, child friendly property with a surrounding balcony. Property 22: Deluxe property, near the woods, lovely garden. 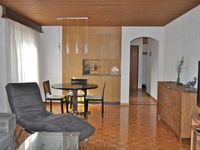 Property 23: A modern, cozy family apartment with two bedrooms, 68 kvm. Property 28: Family friendly wooden house for 4-5 persons in the Montafon! 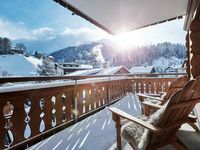 Perfect ski holidays! Property 30: Modern, well cared for vacation address. Property 36: NEW, EXCLUSIVE, COZY APARTMENT !!!! Property 38: Apartment in top location - for 1 to 5 people! A beautiful and comfortable holiday home with panoramic view. Property 41: A beautiful and comfortable holiday home with panoramic view. Property 46: Sunny, central yet quiet south-facing hillside with stunning views! Happier then expected. It made our vacation a success! The apartment was great. We were a group of 6, Grandparents, parents and kids. We arrived late in the evening and the manager met us at the apartment. She was very friendly and welcoming. It had everything we needed and more. Grandparents stayed in the main bedroom, kids in the 2nd bedroom and us on the fold out couch. With the addition of the foamy we found in the bedroom it was perfectly comfortable. We stayed for 2 weeks at the end of the summer. It was a very quiet building. We loved the local dairy farms. The hiking trails were just out the door. There was a grocery store just steps down the road. We were just a few minute drive from Lenzerheide where our sons cycling competition was taking place. We would gladly stay again and would happily recommend it to others.